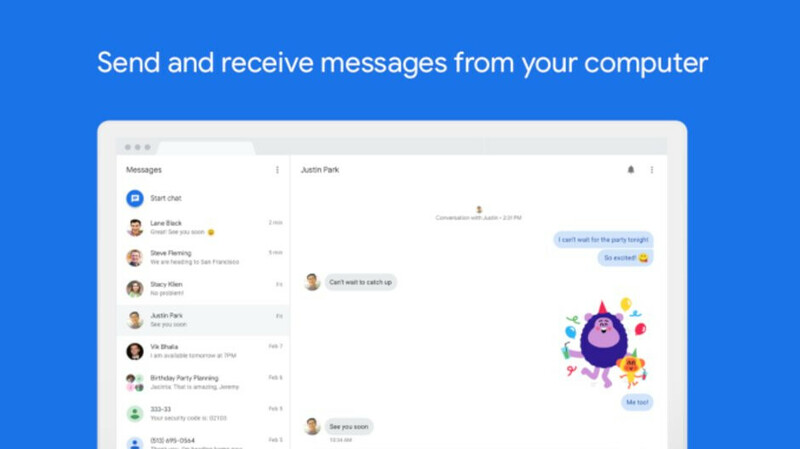 Google's official app for texting and chat, Android Messages is getting a new update that brings a single new messaging option that not many will probably use it. However, if Google thinks this is worth adding to such an important app, it means there are enough people that would find the new option useful. The new messaging option will allow Android Messages users to share calendar files formats with their contacts. We're not sure how many users will head to Android Messages to send a calendar file when there are other apps specialized to do just that, but as more people find out about the new feature, chances are they will take advantage of it more often than not. If you've decided to check how the new feature works, don't look for it inside the app. Instead, head to the calendar file from a file manager and choose to share it. You'll notice that there's a new option available that will allow you to share it via Android Messages. The newest Android Messages update has been released in the Google Play Store over the weekend, so we expect it to become available to everyone in the next couple of days. Let us know in the comments if you've tried sharing a calendar file and how smooth was your experience. Why don’t they just make the “Message” similar to iMessage and Hangout? Since most OEM are using the Messages as default SMS solution, user who send messages via Message will be count as IM.